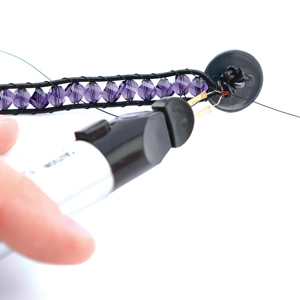 Use the battery operated WildFire Jewelry Cord Cutter to quickly and easily cut and fuse the ends of WildFire Beading Thread. Uses one AA Battery (not included). Also great for Nylon and Poly-cords, as well as sealing frays in many types of stringing materials.